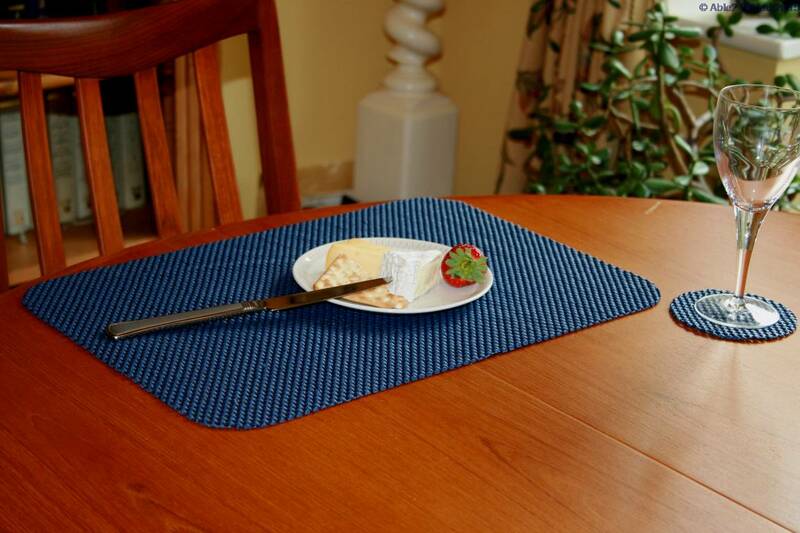 StayPut by Isagi ECO PER®formance Tablemat and Coaster sets are made of the same clever, versatile fabric as the StayPut ECO PER®formance rolls, pre-cut into a set of 6 generously sized, rounded rectangle placemats and 6 circular coasters. PER®formance Tablemat & Coaster sets maintain all the features and qualities of the unique pressure sensitive, non slip PER®formance fabric, pre-cut into large tablemats with rounded corners and matching circular coasters. 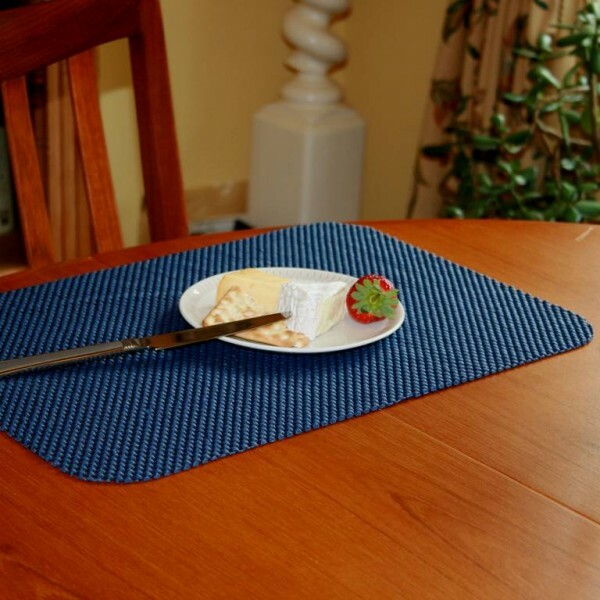 As a Food Grade accredited fabric it is safe to use anywhere where food can come into contact with the material as there are no harmful substances that can leach into food through contact unlike typical non slip PVC placemats, and unlike most smooth surfaced mats, if there are any spills, PER®formance fabric still retains its non slip qualities when wet. Lightweight, durable, easy to clean and safe to use on all surfaces, Food Grade and toxin free they are UV stable and Machine Washable @ 40° degree C and quick to dry, the generously sized mats come in a range of 8 attractive colours. Non adhesive, non slip even when wet! Toxin free and non allergenic. Fire Retardant and UV stable. Biodegradable. Safe on all surfaces, including Polyurethane paint or varnish. Hygienic and easy to clean. Machine Washable 40 degrees.